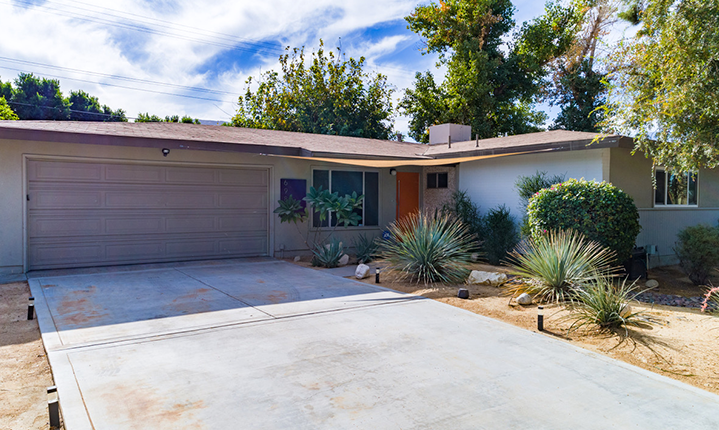 Posted on December 18, 2017 by Social NetworX Inc..
Tucked inside a quiet neighborhood adjacent to Rancho Mirage is this beautifully updated three-bedroom modern ranch style home. Upon entering 69877 Pomegranate Ln in Cathedral City, you’ll be greeted by a warm and inviting living room with tiled floors, a large window with views to the front garden, and recessed lighting. The updated kitchen, which would please any serious cook, features white cabinets, stainless appliances, gas range and gorgeous granite counters. The baths have been updated with today’s aesthetic in mind. A large bonus room on the back of the house is great for entertaining. Other amenities include a two car attached garage, desert landscaping and lots of shade trees. This charming area is centrally located just minutes to the shops and restaurants of Rancho Mirage and the other valley cities. 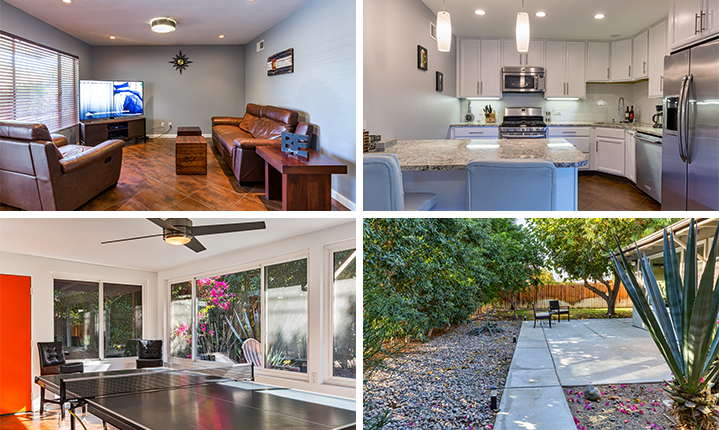 You won’t want to miss this amazing listing located in the highly desirable location in Cathedral City. For more information, don’t hesitate to contact me, Randy Wiemer, today. I can be reached at 760.333.7747 or by email at randy@randywiemer.com.